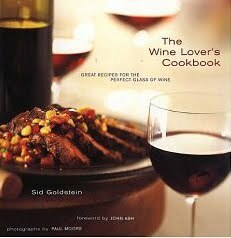 My inspiration for learning about wines is reading Sid Goldstein's books. 'Major types of white wines. Chardonnay, gewürztraminer, moscato are white grape varieties. This page describes wine styles by variety and production area. Any below variety can give dry white wine or sweet white wine. Some varieties can be made bubbly or still. If only one variety (chardonnay, gewürztraminer) is mentioned on the label, then the wine is called varietal and is named after the grape with a capital initial (Chardonnay, Gewürztraminer). Varietal wines primarily show the fruit: how the wines tastes much depends on the grape variety. Chardonnay was the most popular white grape through the 1990's. It can be made sparkling or still. Food pairings: a good choice for fish (even salmon) and chicken dishes. Typical taste of the different types of chardonnay: voluptuous. Chardonnay wines are often wider-bodied (and more velvety) than other types of dry whites, with rich citrus (lemon, grapefruit) flavors. Fermenting in new oak barrels adds a buttery tone (vanilla, toast, coconut, toffee). Tasting a USD 20 Californian Chardonnay should give citrus fruit flavors, hints of melon, vanilla, some toasty character and some creaminess. Burgundy whites can taste very different. Food pairings: a versatile food wine for seafood, poultry, and salads. Districts: of French origin, sauvignon blanc is grown in the Bordeaux region where it is blended with semillon. The Loire valley and New Zealand produce some excellent sauvignon blanc varietals. Some Australian Sauvignon Blancs, grown in warmer areas, tends to be flat and lack fruit qualities. Typical taste in varietal wine: sauvignon blanc normally shows a herbal character suggesting bell pepper or freshly mown grass. The dominating flavors range from sour green fruits of apples, pears and gooseberries through to tropical fruits of melon, mango and blackcurrant. Quality unoaked Sauvignon Blancs will display smokey qualities; they require bright aromas and a strong acid finish and are best grown in cool climates. (Say-mee-yaw) Food pairings: Semillon goes with fish but there are many better matches. Serve dry Semillon with clams, mussels, or pasta salad. Districts: sémillon is the major white grape in the Bordeaux region of France. Sémillon is also known as Hunter (River Riesling), boal/bual of Madeira, chevrier, columbier, malaga and blanc doux. Sémillon is also grown in Chile, Argentina, Australia, and California. Typical taste: the wine varietal features distinct fig-like character. Sémillon is often blended with sauvignon blanc to delimit its strong berry-like flavors. From the Bordeaux region of France come the great Sauternes and Barsac. These wines are produced from overripe sémillon grapes. They are blended with sauvignon blanc to produce a syrupy, full-bodied wine that may be world class. (Mos-cato) The moscato variety belongs to the muscat family of grapes - and so do moscatel and muscat ottonel. Food pairings: Moscato shows best on its own: without food but sweet wines will pair with dessert. Districts: moscato grows in most vine-friendly climates, including Italy, the Rhône Valley (where it is called muscat blanc à petits grains) and Austria (where it is called Muskateller). Typical taste: often sweet and always fruity, with a characteristic grapefruity and musky aroma. Moscato wines are easily recognizable to anyone who has tasted a Muscat table grape. Districts: pinot grigio is planted extensively in the Venezia and Alto Adige regions of Italy. Pinot grigio is also grown in the western coastal regions of the U.S.A. It is called malvoisie in the Loire Valley and pinot gris in the rest of France. In Germany and Austria pinot grigio is known as the Ruländer or Grauer Burgunder. Similar aliases are used in the German settled regions of Australia. Typical taste: crisp, dry wines with good acid "bite" are typically made in Italy and Germany. Oregon or Alsace Pinot Gris shows aromatic, fruity flavors. Pairing with food is more difficult because Alsatian winemakers leave the grapes on the vine much longer. The perfume in Alsatian Pinot Gris makes it especially well suited for Thai or spicy Chinese cuisine. Food pairings: gewürztraminer is ideal for sipping. It can fit Asian food, pork and grilled sausages. Districts: gewürztraminer is best known in wines from Alsace, Germany, the U.S. West Coast, and New York. Typical taste in varietal wine: fruity flavors with aromas of rose petals, peaches, lychees, and allspice. A Gewürztraminer seems generally not as refreshing as other types of dry whites. Food pairings: dry versions go well with fish, chicken and pork dishes. The crispiness of a Riesling works very well with tuna and salmon while the acidity level intermingles with the slight smokiness of the eel and cuts through the layers of spicier Japanese foods. Districts: the classic German grape of the Rhine and Mosel, riesling grows in all wine regions. Germany's great Rieslings are usually made slightly sweet, with steely acidity for balance. Riesling from Alsace and the Eastern U.S. is also excellent, though usually made in a different style, equally aromatic but typically drier (not sweet). California Rieslings are much less successful, usually sweet without sufficient acidity for balance. Syrah, cabernet, zinfandel are red grape varieties. This page describes wine styles by variety and production area. If only one variety (merlot, cabernet sauvignon) is mentioned on the label, then the wine is called varietal and is named after the grape with a capital initial (Merlot, Cabernet Sauvignon). Varietal wines primarily show the fruit: how the wines tastes much depends on the grape variety. (Sah-ra or Shi-raz) Syrah and shiraz are two names for the same variety. Europe vintners only use the name syrah. Districts: syrah excels in California, in Australia, and in France’s Rhone Valley. Typical taste in varietal wine: aromas and flavors of wild black fruit (such as blackcurrant), with overtones of black pepper spice and roasting meat. The abundance of fruit sensations is often complemented by warm alcohol and gripping tannins. The shiraz variety gives hearty, spicy reds. While shiraz is used to produce many average wines it can produce some of the world’s finest, deepest, and darkest reds with intense flavors and excellent longevity. You’ll discover Syrahs of value and elegance by reading my reviews of French wines. Most fruity wines are from the New World, are light-to-medium bodied, and most are made from Pinot Noir grapes. You will often hear these wines described as fruit-forward, the alcohol level can be 14% alcohol or more. Fruity wines come from warm weather climates that produce grapes with relatively high levels of sugar and low levels of acid and tannins. They are definitely a “love it or leave it” kind of wine. Fruity wines are mostly from California, but they can also be produced in Oregon. Keep in mind, though, that there are Pinot Noirs from Oregon, Washington, and Northern California that are not fruity wines. These wines are from colder climates and are more acidic with more earthy flavors and darker fruit. Earthy wines are generally made using Pinot Noir, Grenache, and/or Syrah. Earthy wines are medium to medium-full bodied, with more acid than you will find in other red wines. The alcohol level for these wines is typically a little bit lower than fruity wines, averaging around 13% alcohol. Earthy wines express aromas of cherry, berry, earth and even sometimes barnyard. Typical flavor profiles for earthy wine can vary from red cherries to dark fruit. Other flavors typical of earthy wines include herbaceous, dried fruit, and smoke. Earthy wines are produced in the French regions of Burgundy and Rhone. Earthy Pinot Noirs are also produced in Washington, Oregon, and New Zealand. Many earthy wines, particularly those from Côte d Nuits and Côte du Beaune in Burgundy, can age for decades. In fact, some of the wines from these regions need the age to produce an enjoyable wine. Earthy wines are particularly food friendly. Smooth wines are the largest category of red wine. Smooth wines are medium-full to full bodied wines, and they offer the much of the complexity found in bold wines without all the extras. Smooth wines have less acid than earthy wines and slightly more alcohol, starting around 13.5% alcohol. The range of aromas offered by smooth wines is huge. Most of the berry smells in smooth wines are dark, including blackberry, dark cherry, and blue berry. Other aromas associated with smooth wines include pepper, cigar box, and vanilla. The taste of smooth wines follows their aroma profile with plenty of berry, cherry, and dried fruit. Smooth wines occupy the area in the wine taste map that bridges the gap between earthy wines and bold wines, offering plenty of flavors without all the tannin and alcohol of most bold wines. Smooth wines are also a little more acidic than bold wines, giving them an advantage when it comes to paring with food. Smooth wines are made from dozens of different grapes including Syrah, Zinfandel, Grenache, Pinot Noir, Merlot and Malbec. The wines are produced in all major wine producing areas including France, Italy, Spain, Argentina, Chile, New Zealand, Australia and America. Bold wines are the biggest wines of the red wine world. These full bodied, often over-the-top wines, are mostly the product of the New World (California and Australia), but there are bold wines being produced in all winemaking regions. The most common grape used to make bold wines is Cabernet Sauvignon, but Syrah and Zinfandel can also be used to make some really big wines. Cabernet Sauvignon is often blended with other grapes such as Merlot, Cabernet Franc, Malbec or Petite Verdot. Grenache and/or Merlot is sometimes blended with Syrah to make some bold wines from Australia. Whatever the grapes, the unifying characteristic of bold wines is the shear size and complexity of the wine. Bold wines are highly extracted wines with deep, dark color, frequently opaque. The extraction process also pulls lots of tannins from the grape skins into the wine, giving the bold wine more body and texture, and well, more tannins. The aroma profile for bold wines depends somewhat on the primary grape that is used. For Cabernet Sauvignons and their blends, common smells are cassis, blackberry, vanilla (from the oak), spice and cigar box/smoke/tobacco. The aroma profile for bold wines derived by Syrah is similar, but with a greater emphasis on spice and black pepper. In the mouth, all of these big wines bring loads of dark fruit, licorice and chewy tannins. Bold wines come from warm/hot climates, and therefore have plenty of sugar to convert to alcohol. The % alcohol for these wines can range from 13.5% to almost 17% alcohol! Examples of bold wines include American and Australian Cabernets and Cabernet blends, some Australian Shirazs, American Syrahs and a small fraction of American Zinfandels. Learn how to have your say. Organized chart of common aromas found in wine. Crisp wines are white or rose wines with a light to medium body. They are light in color and have plenty of acid, which makes your mouth water. The aromas of crisp wines include green apple, lemon, citrus, and honey. Common flavors include green apples, grape fruit, lemon, lime and citrus. The % alcohol for crisp wines is typically 12.5% or less. Common descriptions of crisp wines include refreshing and light. Examples of crisp wines include Rieslings from France, Germany and New Zealand; unoaked Sauvignon Blancs from New Zealand, Sancerre France, and Washington State; and Pinot Gris from New Zealand and the Pinot region of Italy. Sleek white wines have less acid and more body than crisp wines. In other words, sleek wines are medium bodied wines that (literally) won’t make your mouth water. Typically, sleek wines are made from either Sauvignon Blanc, Rieslings, Chardonnay or Pinot Gris. They are rarely treated with oak, but if a sleek wine is oaked, the oak will be French, perhaps air dried before being used. Sleek wines maybe treated with malolactic fermentation. The aromas from sleek wines include apple, pear, and peach. Some may also express minerals or wet rocks. The flavor profile for sleek wines includes red apples, pears, and spice. Examples of sleek wines include un-oaked Chardonnays (Chablis), new world Rieslings, Pinot Gris from New Zealand, and some Pinot Grigios from Italy. Soft white wines are medium bodied wines with a mellow palate, and a slightly richer texture than sleek wines. Sauvignon Blanc and Chardonnay grapes are use to make most soft wines. Soft Sauvignon Blancs are treated with oak and are typically subject to malolactic fermentation. This wine making technique turns maleic (think tart green apple) into lactic acid (think subdued red apple), softening the wine and adding body. Examples of soft wines made from Sauvignon Blanc grapes include Pouilly-Fume from France, as well as most Californian Sauvignon Blancs and “Fume Blancs”. Soft wines made from Chardonnay grapes include the classic example of Pouilly Fuisse from France. Rich wines are the biggest white wines. All rich wines are full bodied, and they have the highest % alcohol for white wines. (Some rich wines can have 14% alcohol or more.) They are all very big in the mouth and have a long finish, but after that comparison there are more differences in aroma and taste in rich wines than most people can imagine. Several grapes can be used to make rich wine. Chardonnay is the by far the most common, but the Viognier grape and the Chenin Blanc grape (in France) also make some very full-bodied wines. Rich wines are always treated with oak, either as a part of the fermentation process, aging process, or both. They also undergo malolactic fermentation, producing rich, often buttery texture and flavors. Some rich wines are aged on their lees, which are the yeast and other biological stuff left over after fermentation. This treatment produces a flavor most often associated with white wines from Burgundy in France. Examples of rich wines include Californian and Australian Chardonnays (those treated with wood), Grand and Premier Cru wines from Chablis, and wines from the Cote d’ Or and Cote de Beaune in France. According to wine reviewer, Robin Garr, people fret about matching food with just the right wine to complement it, but this isn't really too difficult. Humans have been making wine to go with food for more than 5,000 years, and most wines go very nicely with most dishes. It's easy to go right, and hard to go wrong, because only a few combinations don't work well. Keep in mind a few basic principles, and you'll choose a good wine to match your meal every time. Here's Robin's quick overview. The old saying "red wine with red meat, white wine with white meat," works quite well as a general principle. A powerful, tannic red wine simply overwhelms delicate white fish, for instance, while a light, ethereal white like a fresh Viognier will pale alongside a joint of rare roast beef. Yes, there are exceptions to the "Red with Red" rule, but they're tasty exceptions. Although roast chicken counts as a "white meat," for instance, it goes very well indeed with a fruity red. So do salmon and fresh tuna, shattering the notion that you should never serve red wine with fish. Newer in principle than the ancient "red with red," this one makes intuitive sense: Look for a wine with flavor and aroma characteristics that evoke the trademark flavors of your entree. A slightly sweet, rich seafood like lobster or crab makes a wonderful marriage with a slightly sweet, rich white wine like a big California Chardonnay. Add a sprig of rosemary to your pan-grilled steak and watch it wake up with the herbal qualities of a Napa Cabernet Sauvignon or Bordeaux. This is a little more tricky, as it takes the intuitive nature of Rule III and turns it on its head. It can lead to some lovely surprises, though, as when you match a tart, lean white like a White Bordeaux or Loire Sauvignon Blanc against a rich, oily fish like bluefish or mackerel. Don't be afraid to experiment! The Bottom Line - Drink What you Like! Remember always that all these rules are advisory. There's nothing more impolite than the wine "snob" who insists that only his answers are right. Try the standard rules first, but if you decide that you want a Chardonnay with your steak, it's certainly your privilege, and you shouldn't be ashamed to exercise it. Threre are a number of more specific examples and discussions below. These should point you down the right road, although for answers to more specific questions, you can email Robin Garr. Vinegar is the natural enemy of wine, so it's wise to push back your wine glass when you're digging into the salad bowl. Appetizers, on the other hand, may run the entire gamut. Consider the primary ingredient of the appetizers and apply the general principles listed on this page. Or go the festive route and open your evening with Champagne! Hearty red meats like beef and lamb absolutely require dry red wine. Cabernet Sauvignon (Bordeaux), Pinot Noir (Burgundy) and the Syrah-based red Rhone wines are the classics, and naturally the equivalents from the U.S., Australia, South America and South Africa work as well. The big reds from Tuscany and the Piemonte in Italy -- Barolo, Brunello, Chianti -- make great marriages with red meats and even wild game, as do the very inky and robust American reds like Petite Sirah and Charbono. Fish, at the other extreme, almost always demands a white wine, preferably a dry and crisp white. I love Sauvignon Blanc (from California or Down Under, or the Bordeaux and Loire whites from France) with all white-fleshed fish and seafood. Sancerre and Muscadet from the Loire are exceptionally suited to oysters, perhaps because shellfish are an important part of the local cuisine and the wine evolved to match. Pinot Gris, whether it's a dry, crisp version from Oregon or Alsace or the similar Pinot Grigio from Italy, also makes an excellent match with seafood and fish. You can even get away with the right combination of red wine and fish! Keep the wine fruity and non-tannic (Beaujolais or a California or Oregon Pinot Noir), and it will sit up and play music with oily, full-flavored fish like mackerel or bluefish; a Central Coast Pinot will even work very nicely indeed with grilled salmon or tuna. Be conscious, though, that very light, delicate fish like sole rarely work well with red wine; and tannic, astringent reds like young Cabernets don't show their best with fish, often bringing out an unpleasant metallic or tangy taste in both the wine and the fish. Similar principles apply to seafood: mussels, being dark and rich, go very well with reds, but lobster and scallops are really too "white." Your choice of sauce or accompaniment may also be influential. Bouillabaise, cioppino, and other fish stews with tomatoes and lots of herbs call out for a Chianti or similar warm, Mediterranean-style red (and this is also the best way I know of to help shrimp marry with a red wine. If you add cheese to the equation, it may even bring up a lighter white fish to meet a red. Following the "white wine with white meat" rule again, whites -- particularly richer whites like most Chardonnays and Pinot Blanc, go well with lighter meats like chicken, veal and pork. As an "in-between" category, though, this one gets interesting. Although chicken is a "white" meat, grilled or roasted chicken is great with a red, especially a fruity red like Zinfandel or Merlot. Veal and pork suggest a fine, rich White Burgundy (Chardonnay), but they'll go with any white or even with a light red like Beaujolais from France or Dolcetto from Italy. Turkey is challenging because it has light and dark meat, and its meat has an oily quality that's not always friendly to dry wines. I call my solution "the cranberry sauce principle." Cranberry sauce goes well with turkey because it's both fruity and tart; so choose a wine with similar characteristics -- Beaujolais or Zinfandel if you want a red, or Riesling, Gewurztraminer or Chenin Blanc if you're inclined to a white. Ham is challenging because it's so salty and strong-flavored. Robin's choices are fruity, quenching wines: a Beaujolais, Zinfandel or a lighter-styled Pinot Noir. Wine doesn't make a very good accompaniment for curries, Thai food and other hot-and-spicy dishes. The alcohol in still wines interacts with the otherwise pleasant fire of curries to create an unpleasant burning sensation. It is best to choose instead either a good beer or, as the people of those cultures do, cold drinks, often dairy-based, such as the Indian yoghurt lassi or the sweet, cream-topped Thai iced coffee. If you're absolutely set on wine with fiery fare, then choose a modest sparkling wine. The carbonation seems to work reasonably well to ameliorate spicy heat, and Champagne-type wines go well with foods of all sorts. As a final alternative, if you must have a still table wine, choose one that's fruity and not overly tannic or acidic: A Beaujolais, for example, or an American Zinfandel or Australian Shiraz. Match the food of a country with the wine of a country, picking Italian vino with Italian cocina, French vin with French cuisine. It makes simple sense that the people of wine-making countries evolve their foods and wines to go well together, so why second-guess tradition? But what about foods from countries that don't make wine? Dry table wines in the European and American tradition go surprisingly well with non-Occidental foods, subject to the limits imposed by hot-and-spicy fare. Simply focus on a wine to match the primary meat, poultry or seafood ingredient, then consider whether the sauce or accompaniments would alter the equation. For some examples, see Robin Garr's online article on matching wine and Chinese fare outside link opens in separate window. Vegetarian entrees are a little harder to match with wine, but think in terms of saving heartier fare like bean dishes, enchiladas, etc., for red wines, and using the lighter whites with dishes based on green vegetables. For more detailed information on wine and vegetarian fare, see Robin Garr's online article, Red Wine and Beans? outside link opens in separate window. Hard cheeses like Parmigiano Reggiano, Romano, are good with dry Italian reds, from Chianti to Barolo. Or try a chunk of really fresh Reggiano with a heavy Amarone. Sweet wines are generally better sipped by themselves and not with food. There are a few traditional matches, including foie gras with Sauternes and other great dessert wines; Stilton (or other fine blue cheese) and walnuts with Port; and a creamy, not-too-sweet creme brulée with a fine dessert wine. But it's best to have the dessert wine be the dessert rather than serving it with dessert, or save the dessert wine for contemplative sipping after the meal has ended. Wine reviewer, Robin Garr regularly finds decent or good wines under $15 a bottle. He reviewed Black Box wine as being decent wine, not just decent for a box wine. He recommended it for people who want a glass of wine with regular dinners but can't finish a bottle before it starts to turn. Black Box also fits the general standard that smaller boxes of wine are usually better. Black Box superb grapes are harvested from world-class appellations, including California’s storied wine country and the acclaimed vineyards of Argentina and New Zealand. Through a meticulous, traditional winemaking process, Black Box Wines are crafted to be food-friendly and fruit-forward, all without the expense and fuss of bottled wines. 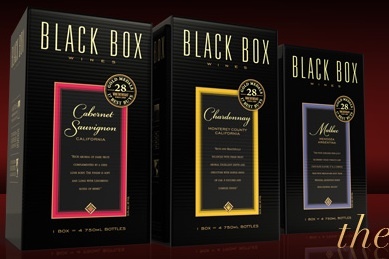 Black Box wines do not need to be refrigerated after opening, because they stay fresh at room temperature. However, you should refrigerate our white wines so they’re chilled and ready to serve when you want a glass. Reds can be kept anywhere in your home, ideally in cooler spots away from direct sunlight. All Black Box wines can be stored before opening either upright or on their sides. After opening, keep them upright or lay them down, with the spout facing up. Black Box (and all box wines) will stay fresh for at least 4 weeks after opening. This is because the box contains a vacuum-sealed bag, which prevents the oxidation that spoils bottled wine a few days after opening. The wines are at their best within the first year after packaging. The date the wine was packaged on is stamped on the bottom of the box. To determine the shelf life of the wine add 12 months to the packaging date for white wines and 15 months for red wines. A bag-in-box wine has a shorter shelf life than bottled wine. This is because, over time, microscopic amounts of oxygen actually pass through the surface of the bag and into the wine. Exposure to oxygen ages the wine. This also happens in bottled wine, but at a much slower pace. It won’t hurt you to drink a boxed wine older than this, but the flavors will have faded. Our distributors and retailers will normally pull a wine that’s too “old” off the shelf, but occasionally that does not happen. If you try one of our wines and it does not taste right, please return it to the retailer. We would greatly appreciate it if you could also let us know about it. The last thing we want is a below optimal product on the shelves.